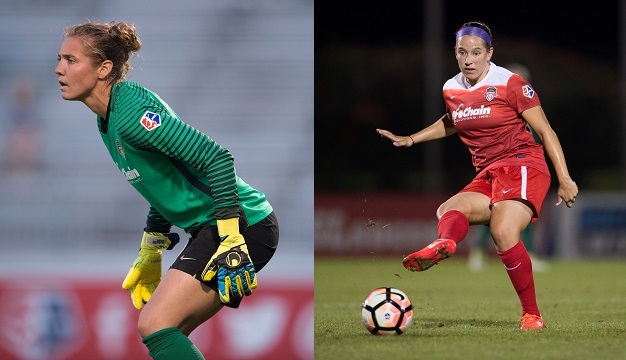 Boyds, MD (September 11, 2017) – Washington Spirit goalkeeper DiDi Haracic and defender Whitney Church have received a joint nomination for NWSL Save of the Week in the 20th week of the 2017 season. Voting for the NWSL Save of the Week takes place exclusively on Twitter. Cast your vote at the @NWSL on Twitter using the hashtag #SpiritSOW!